Interval on piano is the distance between two musical notes on this instrument and understanding and identification of intervals is important for learning to select right notes to be played at right times to build a perfect harmonious melody. In a melody, you can play different notes. Your notes would either remain same or it can go up or down. Intervals are basically leading to notes that either go up or down within a melody. For example the difference between C to E is third and that from C to F is fourth. These intervals go up to eighth from one C to another C and is termed as an octave. Intervals can be measured by half-steps and full-steps between notes and there are different methods involved in identification of these intervals. In the world of music, your training experience would need you to understand two basic types of intervals that includes harmonic and melodic. Harmonic Interval: Harmonic interval involves playing two notes simultaneously meaning at the same time such as singing a choir. Harmonic intervals are also termed as vertical intervals. Thus harmonic interval would be distance between simultaneously played notes. Melodic Interval: Melodic interval involves successive playing of notes that is separately one after the other. Changing of one note to the next is involved in melodic intervals. Melodic intervals are also termed as linear intervals. For example if I begin playing a C followed by an E and F, this setting would be melodic as the notes are played separately. Thus melodic interval would be distance between separately played notes. Major Intervals: Major intervals involve measurement of major second with its matching second in major scale and then counting half-steps beginning from the root note. Minor Intervals: Minor interval can be made by lowering half-step to its major interval. For example minor second would involve lowering its major second by half-step. Diminished Intervals: Any interval can be made diminished by lowering it with a half-step. Perfect Intervals: A perfect interval is only named for fourth, fifths and octaves. Augmented Intervals: Any interval can be made augmented by raiding it with a half-step. Each of the interval is associated with a name so that it becomes easier for every musician to communicate in the language of music. This makes performing together much easier and gives a unified method of recognizing intervals. Numbers linked with these intervals are actually the size of these intervals. For example M3 would mean a major third. Major and Minor Second: Let us first consider important intervals including major and minor second. Each interval on piano will include a beginning (root) note and an ending note. 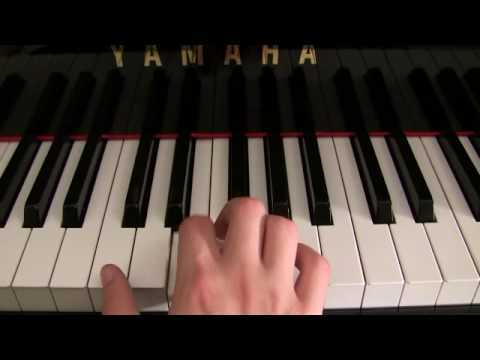 So for example you begin in the key of C. From C when you go to D, it means that you have gone to major second that is a second note from C. The D note is two half-steps away from C. This goes really simple. Major Seconds are two half-steps away from the root note and Minor Seconds are only one half-step away from the root note. Major and MinorThird: Similar to the concept of seconds for intervals, when we consider distance from C to E, it is four half-steps away from the root note and thus is a Major Third. Similarly Minor Third would be three half-steps away that would be a black note towards the left of E.
Perfect Fourth: Now when you move to the fourth note from C in your scale, it is F and this F is Perfect Fourth interval in the key of C. One thing to remember about these perfect intervals is that these would never be major or minor but could only be diminished or augmented. Perfect Fifth: Perfect fifth intervals would be fifth note in your scale or it could be termed as seven half steps that makes it G from C.
Diminished/Augmented Intervals: As we explained earlier that perfect intervals can only be augmented or diminished so a perfect interval would either be lowered or raised to one half step. Thus an augmented fourth would be one half step raised from fourth and diminished fifth would be one half step lowered from fifth. Major and Minor Sixth: A major sixth would be distance between root note C and A. Similarly to the left of A would be the black note that you can term as minor sixth. Unison: Unison is the interval when two similar notes are played together. Knowing interval would enable you to play almost any musical piece on piano. Not only it gives your ability to play well but it will improve your sight reading and ear training skills too. Here are some popular songs that learning each interval much easier for you. Happy Birthday (for Major Second): Happy Birthday makes use of major second with the use of first and second notes that gives you a differentiating sound between ending of happy and beginning of birthday. Other popular examples include Mary had a little lamb, the first noel Christmas song and others. Kumbaya (for Major Third): Kumbaya has its first two notes with major third interval and this song gives you a good feeling when heard or played. Another one that is usually used is Oh, when the saints. 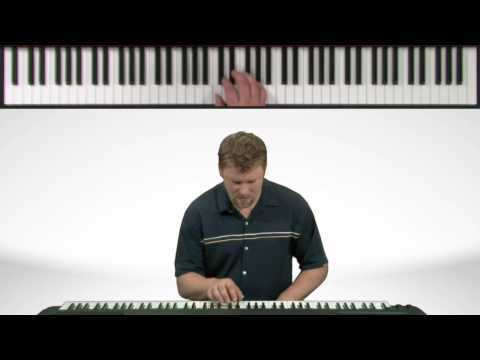 Greensleeves (for Minor Third): Greensleeves is a popular track that is known by many and it makes use of the minor third interval. Jesus loves me and Hey Jude are other popular examples. O Christmas Tree (for Perfect Fourth): Christmas songs are popular for learning intervals as they are well-known and has beautiful melody. This song again has a recognizable melody that one can easily remember for practicing perfect fourth leap. Harry Potter theme and Here comes the bride are also among the list of favorites for learning this interval. Twinkle Twinkle (for Perfect Fifth): This popular rhyme needs no introduction and thus following it for learning a perfect fifth is a perfect choice indeed. Some other examples are baa baa black sheep, superman and ABC song. My Bonnie Lies over the Ocean (for Major Sixth): Taken from beginning to my bonnie part, this track moves to a major sixth interval. Other examples of major 6th would be NBC chimes, jingle bells Christmas song and popular hush little baby lullaby. The Entertainer (for Minor Sixth): Beginning with minor seconds and then this melodious track bounces to minor sixth for three times successively. This successive playing of minor sixth makes it easy to memorize. Other track that adds fun flavor to learning is with ‘We are young’. Take onme (for Major Seventh): This classical track of 80s begin with a chorus involving major seventh interval. Star Trek Theme (for Minor Seventh): This classic theme is built around minor seventh leap with its beginning melody. This interval creates a heart touching music. Somewhere over the Rainbow (for octave): Octaves involve playing the same note but at a higher tempo. Thus these area easier to identify and first two notes of this track gives you a chance to experience this simplicity. Learning and recognizing intervals is an important aspect of becoming a fluent and pro pianist. For some it may be easier but for others it may be difficult to learn. Learning and recognizing intervals become easier when you associate correct learning methods. One of the best methods is to memorize popular melodies and associate all these different music intervals with those tracks. Once you prepare yourself to be able to do so, you will be able to translate almost any music on your piano. Although it would definitely be a time taking process involving trial and error. So what you need is complete focus and practices for gaining clear understanding of musical intervals.